With this product, you earn 72 loyalty points. Like a piece of fabric edged with golden frangipani, La Femme Prada radiates ylang-ylang and spicy tones, mellowed by beeswax and vanilla. 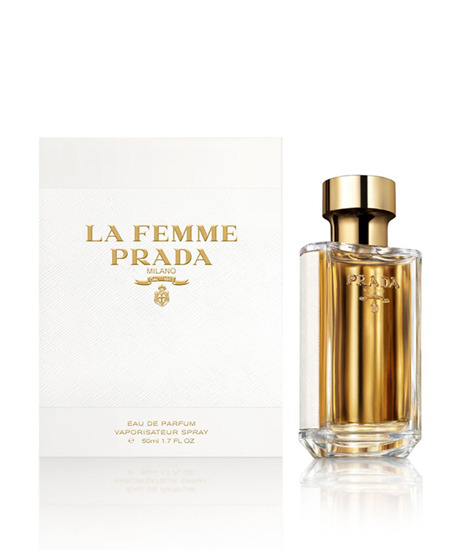 It is enhanced by bewitched tuberose absolute and a surprisingly feminine vetiver, bringing inimitable character to the scent. A solar and highly sensual floral fragrance which evokes the dewy carnality associated with this faraway flower.